Scientifically speaking, distance from Earth to the Moon is generally referred by the terms – Apogee and perigee. Apogee is the furthest point from the Earth. Perigee is the closest point to the Earth and it is in this stage that the Moon appears larger. Gravitational influence on tides is highest when moon is at perigee. 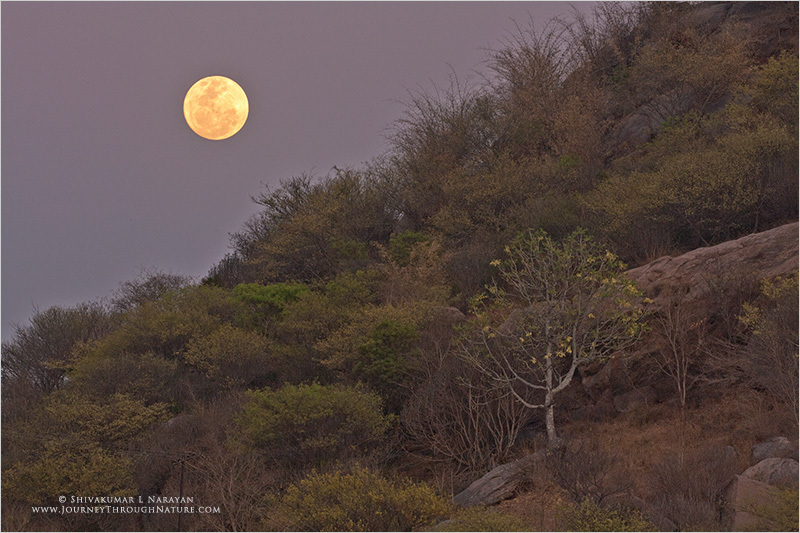 Though not an astronomical term, ‘Super Moon’ had created quite a buzz in the media. 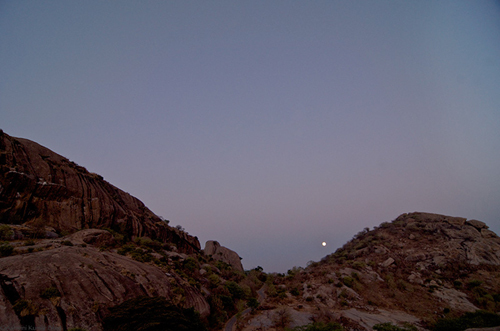 The phenomenon, in which moon comes slightly closer to earth than the average distance makes it look a tad bigger and tad brighter, especially during the rise and set intervals. 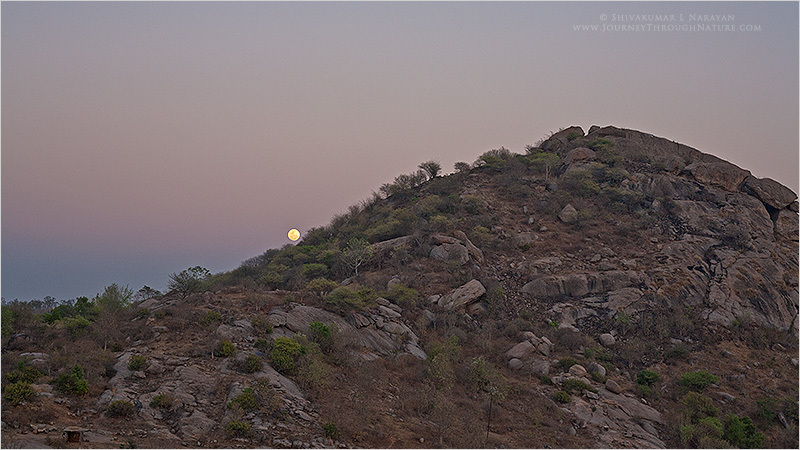 We thought that it would be a good idea to document the phenomena with some landscape perspectives and this thought lead us to head towards Ramanagara near Bangalore, on the 19th of March 2011, wonderful Saturday evening. Though a little skeptical initially, we soon realized that the phenomena is indeed a rare one! The moon was actually looking bigger when it emerged from the other side of the hill. 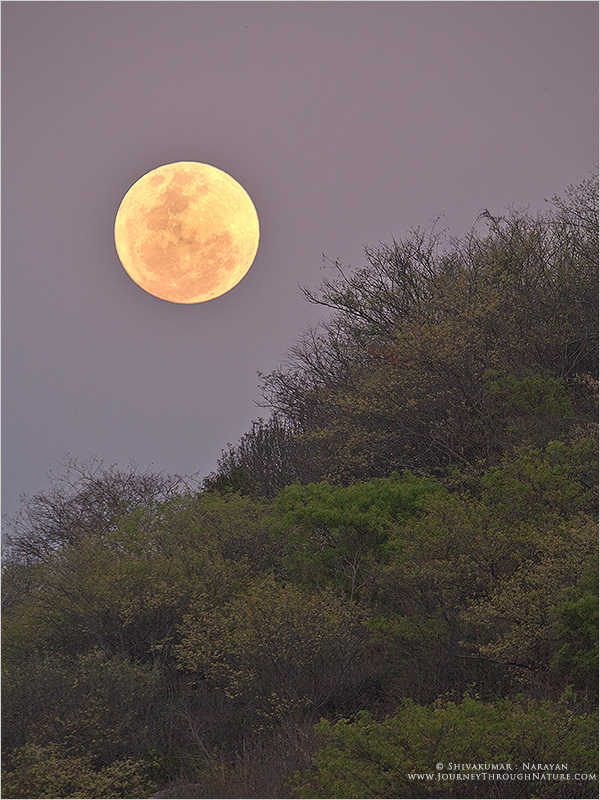 It was a nice surprise for us seeing the sheer size of the moon as we had not expected to witness the moon that big! The hard work which went behind scouting the place and positioning ourselves, all payed off when we had the first glimpse of the ‘Super Moon’!